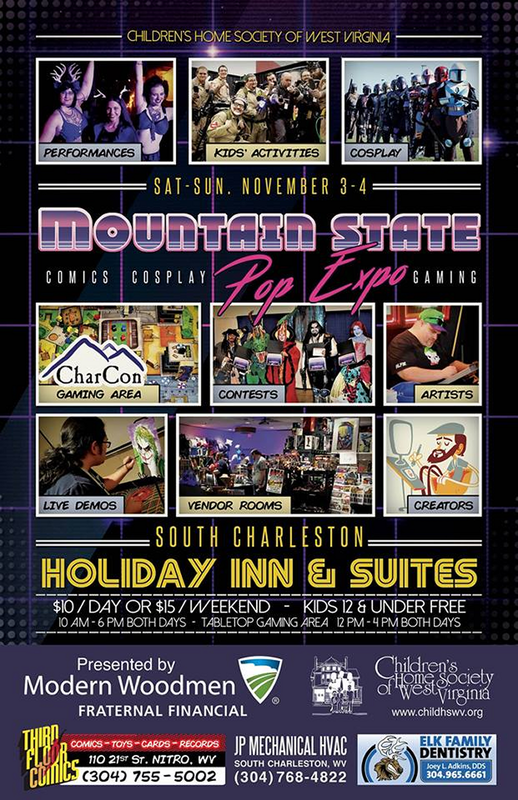 It’s become a fun annual tradition in just four years, The Mountain State Pop Expo, dedicated to exploring all aspects of pop culture in a safe, fun, family-friendly environment, with vendors, cosplayers, panels and demonstrations, raffles and more, and it happens the weekend of November 3 and 4, little more than a week away. Created as a benefit, all proceeds from this event go directly to the Children’s Home Society of West Virginia. Fans of comics, toys, movies, TV, videogames and all manner of genre culture will find vendors, guests, events, contests and a massive pop culture raffle. All vendor table costs, admission, and raffle ticket sales will go directly to Children’s Home Society of West Virginia to benefit the area’s neediest kids this holiday season. 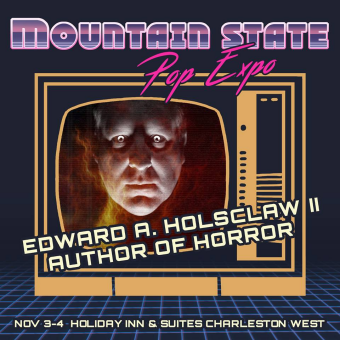 This year guests include author Edward Holsclaw, artist Glen Brogan, Final Form Fusion, The No Pants Players plus a loads of cosplayers and even a replica of Lightning McQueen. Charcon and Bonus Round will man a tabletop gaming room, and the raffle will include a not-sold-in-stores lithograph of a map of West Virginia from Fallout 76, donated by the folks at Bethesda Games. Many of the state’s coolest rare toy and videogame dealers will be there with incredible assortments of cool stuff from the not-too-distant past. Cosplayers from all over will appear, including Ghostbusters WV Division and the 501st Legion. There will even be late-night panels and entertainment. This all happens at the Holiday Inn Charleston West, located in South Charleston, at 400 Second Avenue. Admission is only ten dollars per day, or both days for fifteen bucks. Kids under twelve get in free. All proceeds from tickets, table rentals, and raffles at this event will benefit the Children’s Home Society of West Virginia. The Children’s Home Society is a statewide nonprofit children and family services agency. They have 13 locations throughout the state, each of which have a variety of programs including emergency child shelters, foster care and adoption, early intervention, and family strengthening programs. CHS serves over 15,500 West Virginia families a year, and this year they are celebrating 122 years of service. Funds from this event will go specifically to benefit the Children’s Home Society’s holiday help. Children in foster care, emergency shelters, and needy families in the community will have the holiday gifts and necessities such as winter coats that they otherwise might not receive. So it’s going to be a great time, to benefit a great cause, and with so many cool vendors coming from all over the region, there’s a good chance that you can get some early holiday shopping done and find the perfect gift for that certain someone on your Christmas list. It all takes place Saturday and Sunday at the Holiday Inn & Suites in South Charleston (not too far from Olive Tree, if you want an awesome lunch) from 10 AM to 6 PM with after-hours events on Saturday, and 10 AM to 4 PM Sunday. Make your way out to soak in the wonderfulness of it all. 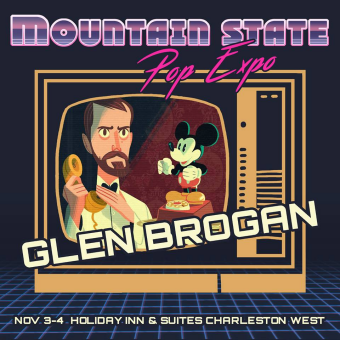 Your PopCulteer will be in (paid) attendance, and I hope to see lots of folks there. That’s all we have for this week’s PopCulteer. 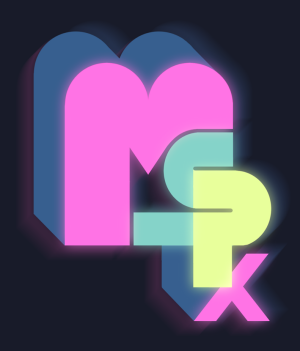 Tune in to The AIR Saturday and Monday for more Halloween audio treats, and check back this weekend for our regular features, because The RFC Flashback and Sunday Evening Videos will be taking a vacation during the Month of November, to make room for our daily offerings in The 2018 PopCult Gift Guide.